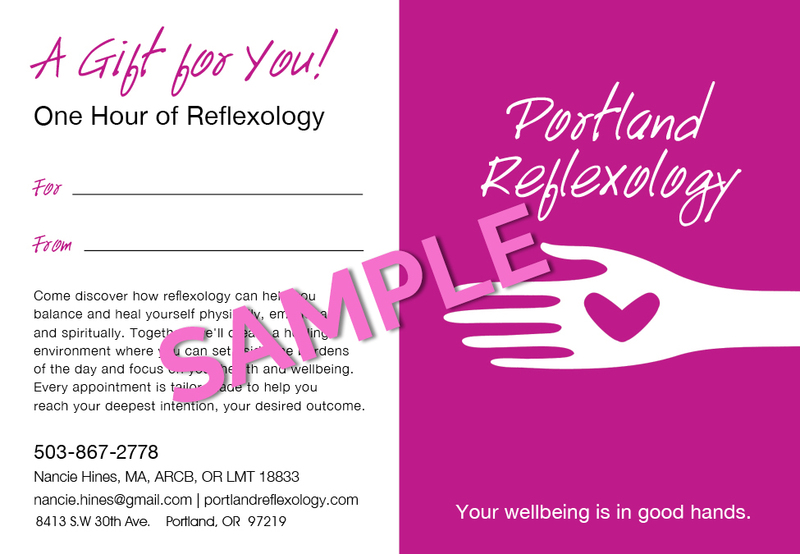 Share the gift of relaxation and wellbeing with a reflexology gift certificate. You can trust we'll take good care of your special person. Once on the massage table, people often close their eyes and allow the warm massage table and Nancie's gentle touch to begin soothing and relaxing them. Now you can pay for your gift certificate on-line and we'll mail this gift certificate to you or directly to the one you wish to honor. 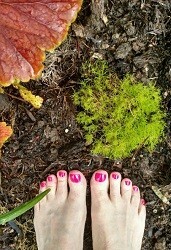 Gift certificates are $95 and include an herbal foot bath and massage. If you'd like to talk with Nancie about this gift certificate, call or text 503-867-2778 or email her at Nancie.Hines@gmail.com and she'll get back to you today. Serving the greater Portland Oregon area. Do you want us to add a personal message to the gift certificate? It will be printed on the their card. Date that you need card mailed by?